When a Brooklyn couple were renovating their brownstone home, they wanted to do something a little splashy in the entry while still keeping with the overall feel of the house. The homeowners looked through dozens of available flooring options, but couldn’t find exactly what they were looking for. 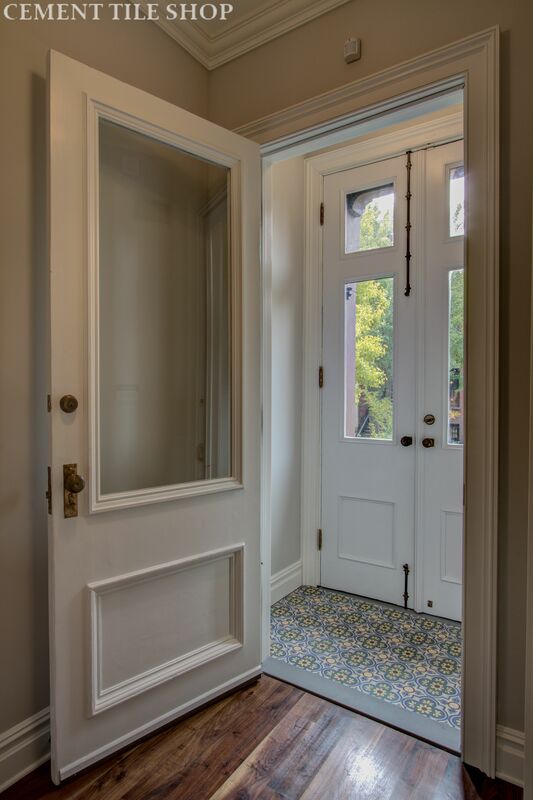 Because of the small entry space they wanted tile that would work in a small pattern and also desired an option that would allow them to select their own color choices. Our cement tile designs and colors can be custom ordered in many colors and patterns. This turned out to be a great option. Along with their architect Ben Herzog and contractor Frank Naccarato, the homeowners selected our Jerez handmade cement tile pattern in 4″ x 4″ tiles. They also selected a custom color combination. The smaller tiles allowed them to show more of the pattern in their small space. We think you’ll agree that the finished space is stunning! The couple’s brownstone renovation is chronicled on the blog www.wandernesting.com. 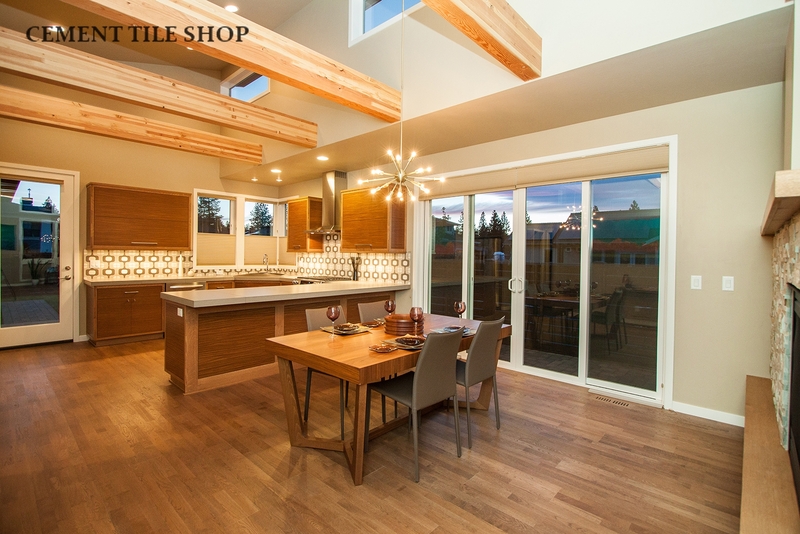 Please contact Cement Tile Shop at (800) 704-2701 for information on custom cement tile colors or patterns. Custom orders typically ship in approximately 8 weeks. 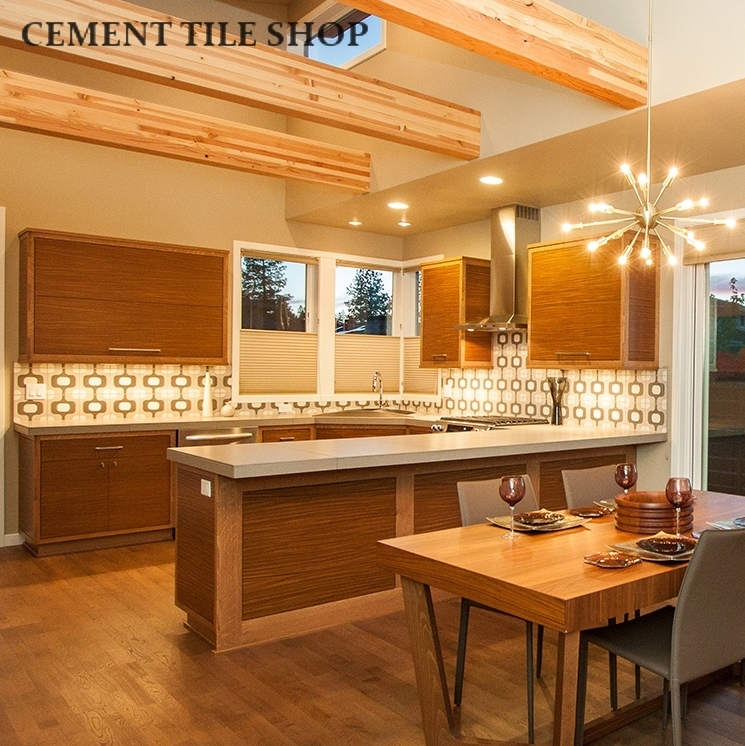 Leader Builders in Bend, Oregon used our handmade cement tile in an amazing Mid-Century Modern project. 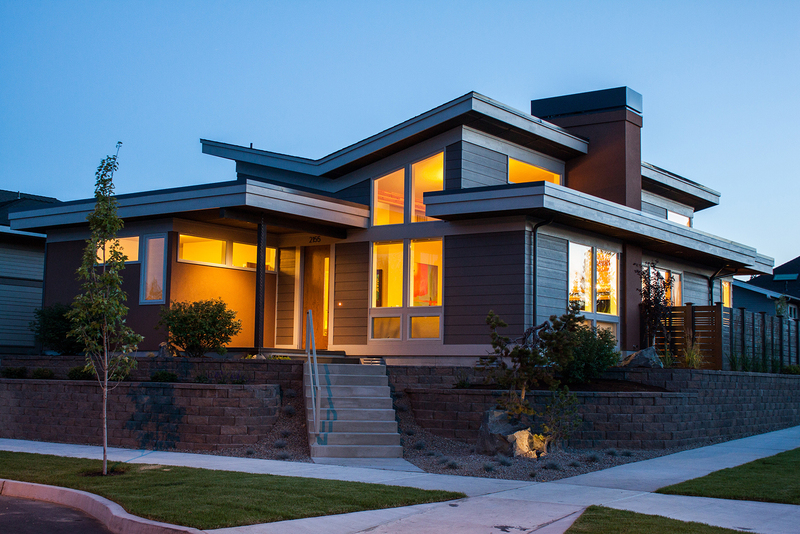 The husband/wife team at Leader has over 30 years experience designing and constructing new homes. 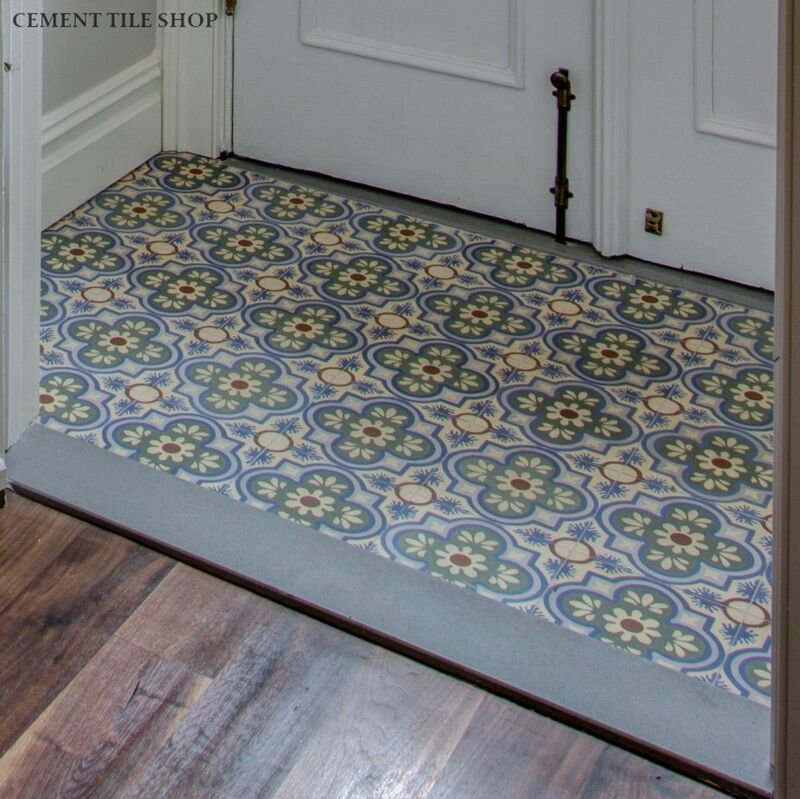 We think you’ll agree that this project is worth a closer look and shows the versatility of our cement tiles! Our Dubois cement tile pattern was used beautifully in the kitchen backsplash to continue the mid-century design from the living area through to the kitchen and tie the entire space together. The tile used in this project was 8″ x 8″, but our tiles can be customized in many sizes and colors. Please contact Cement Tile Shop at (800) 704-2701 to incorporate cement tile into your backsplash or for more information. 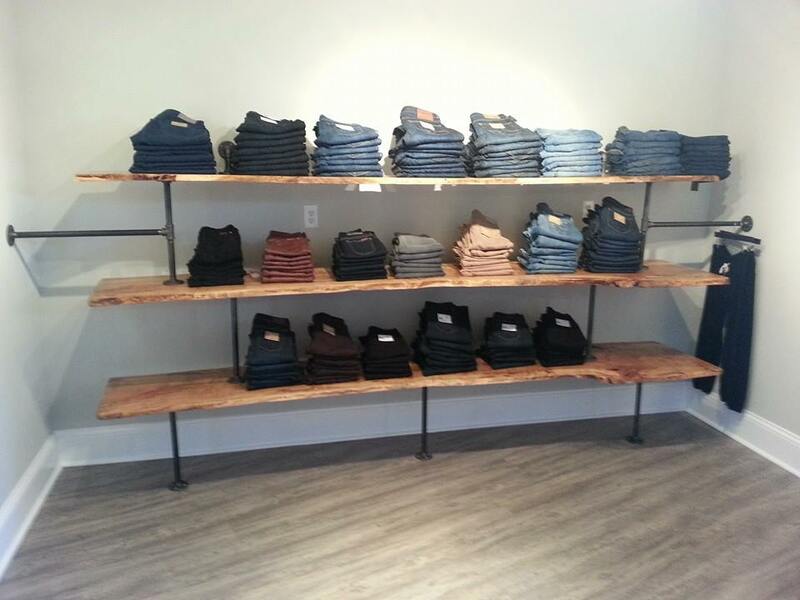 The new Morton James in Lexington, Kentucky is a well-curated men’s and women’s clothing boutique offering sophisticated, edgy apparel that’s both style and quality driven. 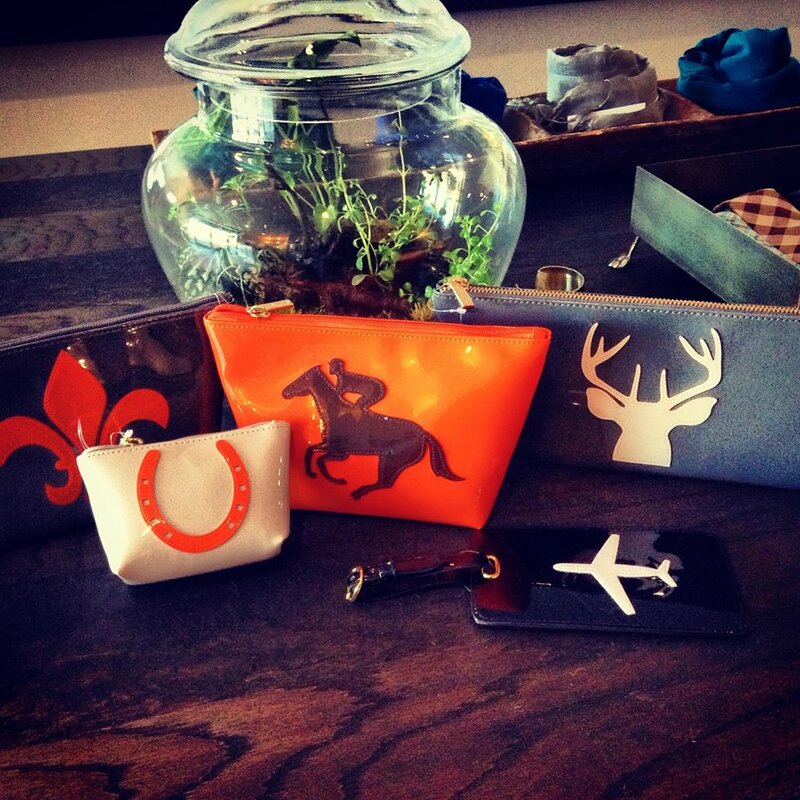 The design team at Hannah Maple Studio, based in Lexington, designed the boutique. Hannah Maple is a purveyor of one-of-a-kind furnishings, artwork, and curiosities. Hannah brings life to her spaces with a warm, unexpected, well-tailored, and enthralling design approach. 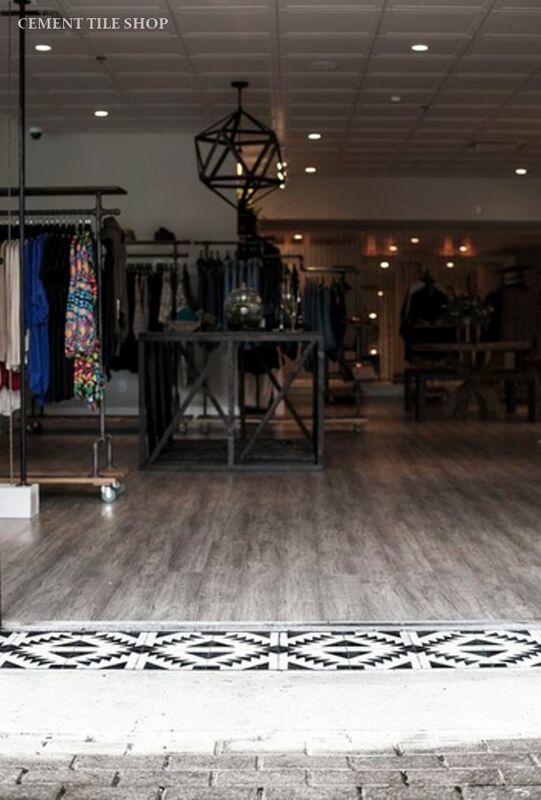 Our Tulum cement tile pattern was chosen to make a bold statement at the entrance to the store. We love how the handmade cement tile clearly defines the space. 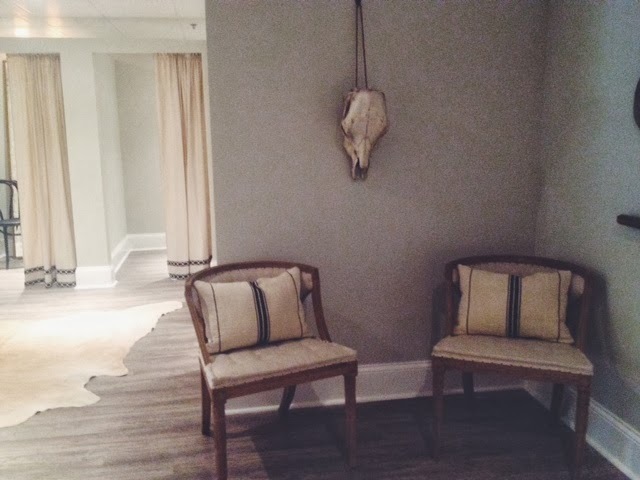 The boutique has a refined, rustic, industrial feel that’s gender neutral, but warm and welcoming…and still southern. The finished look is stunning. 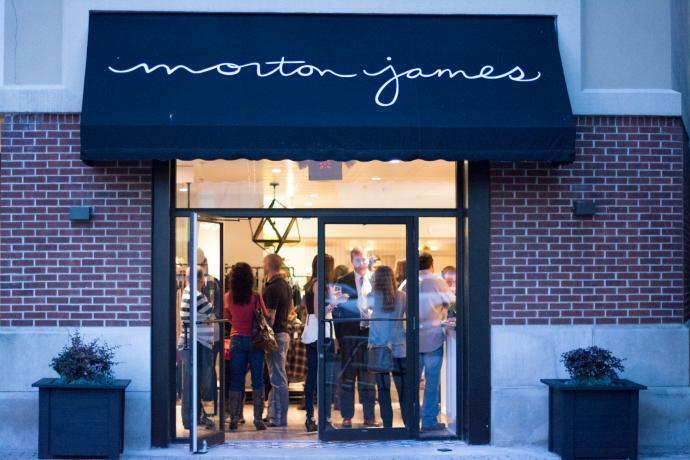 Morton James offers well curated clothing and accessories in a beautiful setting. 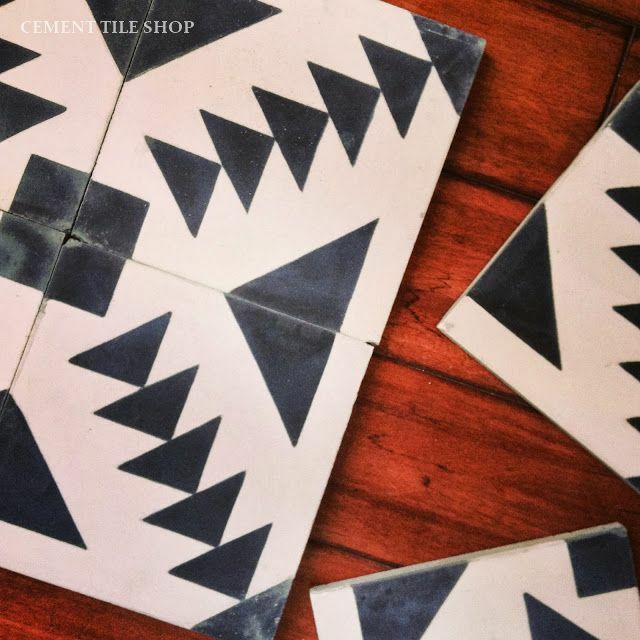 Our Tulum cement tile pattern is kept in-stock and is available immediately. 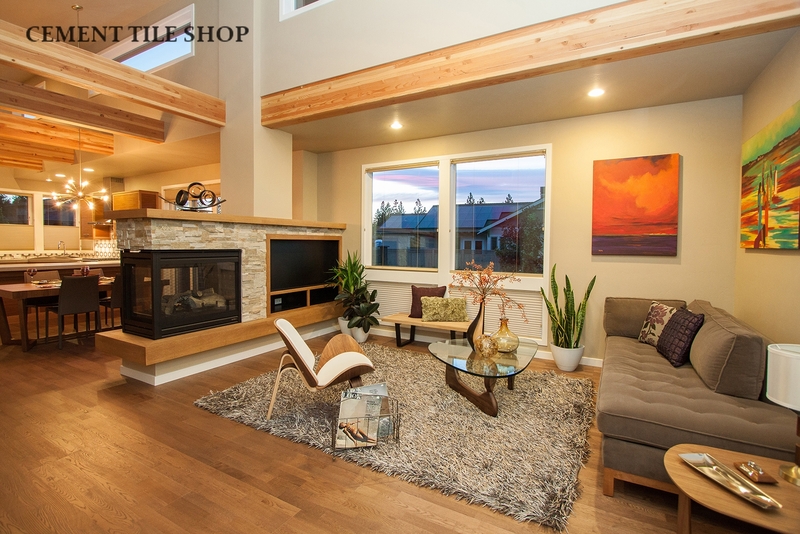 Contact Cement Tile Shop at (800) 704-2701 for more information.